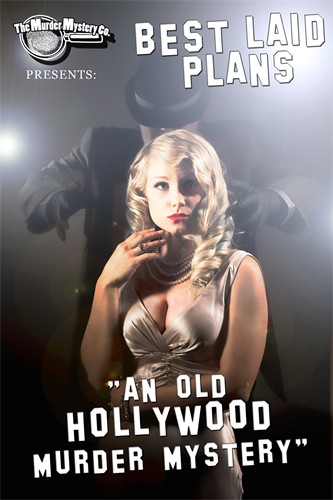 Murder Mystery Co. and Humane Society of Mason County present An Old Hollywood Whodunnit, Best Laid Plans. Join us for a murder mystery dinner at Little Creek Casino Resort in Shelton on Friday, September 28th. Doors open at 6pm, with dinner beginning at 6:30pm and show from 7-9pm. 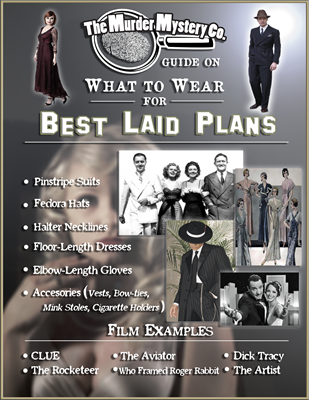 Best Laid Plans is set in the 1930s, so dust off the pinstripe suit, bow-ties, and elbow-length gloves and come in character (optional) as you enjoy dinner, mystery, murder and lots of laughs! Tickets are $60 each and must be purchased in advance. Little Creek will also be offering special room rates for our event (use code 092818HUMA when booking your room). So who do you think did it?? Join us to find out! Friday, September 28, 2018. Doors open at 6:00 pm, with dinner beginning at 6:30 pm and show from 7:00 - 9:00 pm. $60 per ticket, includes dinner and show.